I’ve always been of the accord that one must give to Cesar what is due to Cesar so when it comes to parking tickets and road tolls I’m not the kind of bloke to try to abscond payment. So it came as a complete surprise that I received a nasty letter from sirs Linebearger Goggan Blair & Sampson LLC of 1515 Cleveland Place, Suite 300, Denver CO 80202 informing me in caps of NOTICE OF UNPAID TOLL! What a minute, I’ve always paid my tolls on time and I’ve gone to their website – www.expressToll.com to pay. No sir, said the man on the other side, we are Northwest Parkway NOT E470 and he also informed me that I’ve not been paying my tolls on this stretch of the road since February 2010! Quick quiz, how many of you who’ve drive the toll road from Boulder to DIA ever realized that they were in fact driving on two different toll roads AND had to pay two separate tolls to two separate companies ??? Fine, so they send you out a bill, well if they have your address correct and if not then the bills and lawyers letter go into the ether until mysteriously they actually got my correct address and send me the current letter that I am now fuming over. Ok, my bad for not having a correct address on file with the DMV but also if I actually knew that the road I take once or twice a year was in fact owned by two companies I’d probably been looking out for the other bill from them. But lets get onto the debt collectors, first, they told me I was out of luck and need to pay $88 ASAP, nothing they could do and basically my fault. After one guy, Manual got upset and annoyed that he actually had to produce days I’d driven on the roads, you have the cheek to want to see a bill was his attitude I spoke to his Super and it did turn out that they too had been sending me letter to the incorrect address. He insisted that I pay and I told him I was going to think about it and get back to him, wasn’t going to give in that easy! I almost paid but …. Well I called them back with my tail between my legs and spoke to a nice young lady who was going to take my credit card details. 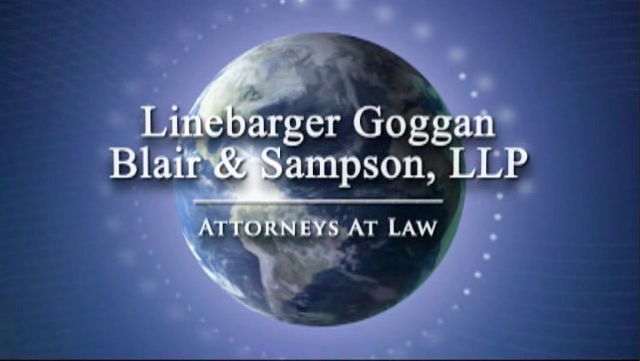 I just happened to be doing a little googling of Linebarger Goggan Blair & Sampson and came across some troubling information – I hung up without paying! Linebarger Goggan Blair & Sampson? – Debt collectors who go after the dead! Here is a national law firm hired by municipalities to collect old debt. you might receive a notice to collect on tickets you may or may not have gotten 6 or 7 years ago. They threaten ‘Failure to respond…may result in our garnishing your wages and bank accounts, and filing a lien against your property…’ If you call the number on your notice, they have complete access to every ticket you ever received in the municipality. Be careful in calling. The attendants will look for additional outstanding tickets and try to get you to pay those as well, even if they were not submitted to this firm. They won’t reduce the payment amount. There is no compromising. I received a notice from this firm sent to my house but addressed to a friend. The notice was typical of what others have written. It claimed there was an outstanding debt for an unspecified matter and had to be paid NOW. After the initial shock of seeing my friend’s name I decided to reply to these bottom feeders to inform them that my friend died in 2006. I doubt such a detail will stop them from sending further letters and I’ll know exactly what to do with them. Ok, so after hanging up on the devilish debt collectors I decided I was going to call NW Parkway and see what they had to say about it – I read this article here at the Denver Post and it seems that this is a common practice to send bills out for year or not at all and then years later get the shady debt collectors to hound the recipients. But I also read that a lady had called then and had her bill reduced. So I called North West Parkway on 303-926-2500 and spoke to a nice lady whom informed me that yes indeed they had been sending the bill to the wrong address AND yes indeed they were NOT E470. She did say that really I was to blame due to not updating my vehicle registration address (not correct see last paragraph) BUT and this is the happy ending to the story, she agreed to knock off 75% of the $88 and I will call the debt collectors on Tue to see if this is the case. So in the end these scumbags will not get all they are due and sure, I blame myself for not updating the address but I think some of the blame has to go to NW Parkway for not clearing stating that they are a different entity form E-470 – how about a big sign guys, and how about choosing a more reputable debt collection agency, not the dodgy outfit know as Linebarger Gogan Blair and Sampson LLP. So the crux of the matter here was me not having a correct address on my drivers license right but that would mean I’ve not received my tax and registration info since I moved from my old address in 2006, well wrong! I’ve always got my new license postcard in the mail every year and paid my tags and license fees on time – these come from the DMV and go to my PO box. So it appears that Northwest Parkway are using a scan of my license from some database somewhere and are not getting the info from the DMV or they are using old, very old data? And also how did the lawyers get my supposed new address, my PO Box, all of a sudden if they have been sending my letters dating back to 2010? This warrants further investigation me thinks; something is rotten in the state of NW Parkway and Linebarger Goggan Blair & Sampson!!!!! Next Next post: Skin Care and Hair Removal in Boulder, CO Promo video.